The key to the raw beef dish’s enduring trendiness is as much economics as it is creativity. 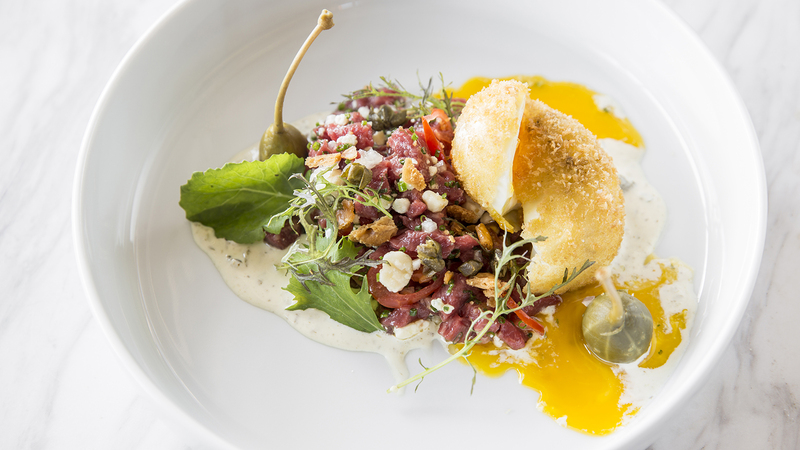 Scan through the menus of the hottest restaurants in your city, and whether it’s a globe-trotting hotspot in L.A.’s Koreatown or a bustling beer bar with cheffed up snacks in Brooklyn, you’ll likely find the same dish threading all of them together: steak tartare. Long believed to have its roots with Mongolian horsemen who slapped slices of raw meat under their saddles, steak tartare rose to prominence in fancy Parisian hotels in the beginning of the 20th century. The dish is simple yet luxurious: chopped or ground beefsteak scattered with capers, flecks of onion and parsley and bound together with a raw egg yolk. 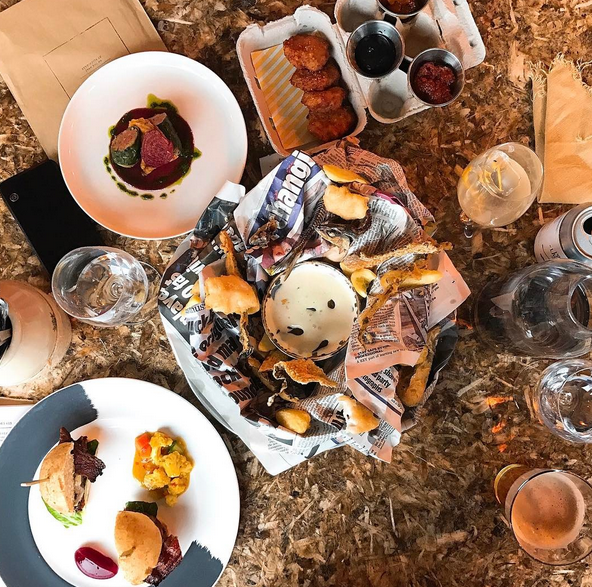 But unlike savory, jellied appetizers spied in old magazines and Chinese chicken salad of the ‘80s, it’s never gone out of style, and the reason why is part economics and part creativity. 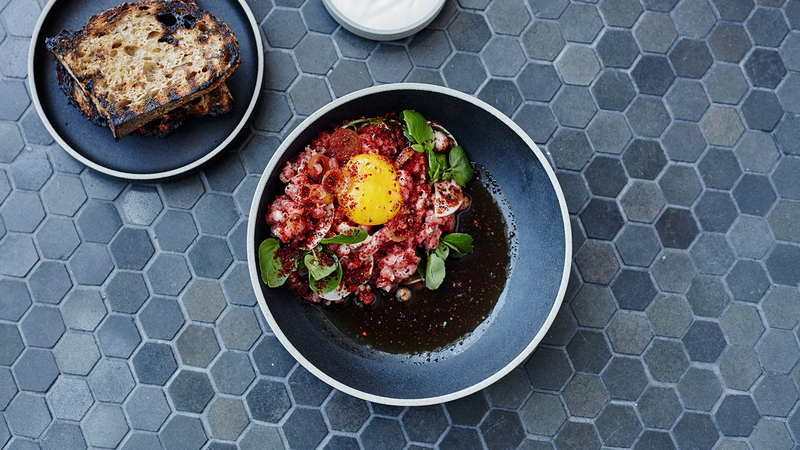 At Torst, he taps into all the leftovers of the restaurant to dream up his tartare—salted plums, jalapeno vinegar, pickled green almonds in addition to bits of meat. And in this age of whole animal butchering, there will always be extra. It almost seems like a self-fulfilling prophecy: The reinvention of steak tartare will continue as long as there is meat to pull from. This is somewhat true, but that isn’t what keeps customers ordering. What seems to make steak tartare a menu standby is that it’s the perfect mix of comfort food and adventure. 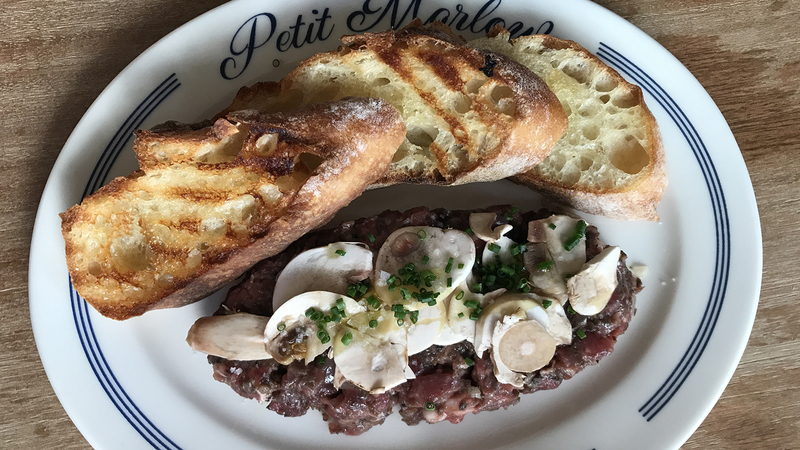 “Steak tartare is like a blank canvas, where the possibilities are almost endless,” says Jennifer Puccio, the chef of the newly opened Petit Marlowe in San Francisco. “There are a million different iterations of the dish that have been and have yet to be done.” At her Parisian-inspired wine bar, she gives the dish a distinctly French treatment with raw shallot and black truffle shavings. But as Cervantes points out, nearly every culture has its own take on the tartare—kibbeh nayeh in Lebanese cuisine, yukhoe in Korean cooking, beef carpaccio in the Italian canon. With that comes a certain sense of nostalgia for everyone. He takes brisket and dresses the ground meat with his own blend of chiles, garlic and spices he calls “Devil Flakes” and pickled ramp vinaigrette. In lieu of the egg, Japanese mayo aioli binds it altogether. It’s a sharp right turn from the familiar French treatment, but it’s a tartare all the same—and an indication of how a chef thinks and works. But with so many chefs leaving their imprints on the classic dish, will we ever hit peak steak tartare? They think not. And we'll keep eating it, happily.